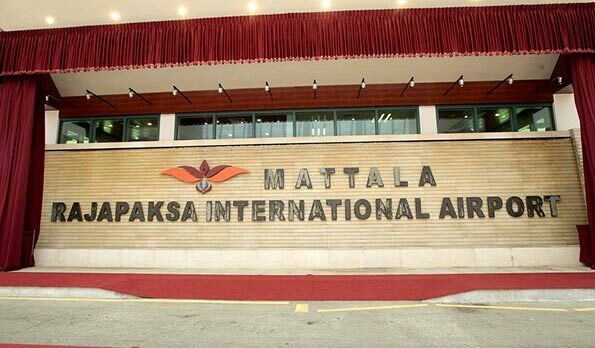 The Airport and Aviation Services (Sri Lanka) Limited says plans are in progress to lease out the Mattala Mahinda Rajapaksa International Airport to several local and foreign companies. The corporate communication official of the company, Derik Karunaratna said that the decision was taken since the company is losing Rs. 250 million per month. The Mattala Airport will be leased out as per the MRO concept to a foreign aviation company as well as to SriLankan Airlines. The latter will use it to launch an aviation training school, he said. Some five foreign companies have already come forward to obtain the airport on lease. Besides the foreign companies, a leading airline in North Asia has also shows interest in taking the airport on lease to use it as a storage complex from where the company will distribute electronic appliances and items by air throughout the world. Meanwhile, the installment for the loans obtained by Sri Lanka to build the airport have to be remitted from September. Karunaratna added that since it is not an easy task to repay such a huge amount of money every year, the Airport and Aviation Services is planning to lease out the airport. Matala is there. Lots of resources have been wasted and became a white elephant. Better to keep it for emergencies. Remember, when LTTE attacked Katunayake airport, SL has to seek landing rights from India to use Chennai airport. So the yahapalanaya wants to lease out Mattala? Fantastic, can you get the message? They will soon lease out the war heroes to UNHRC. Here we go guys, the madness of 0108 will kill us, the nation.